Back in kindergarten when our friendship began, Jen and I bonded over a shared love of art. I remember hours coloring in her parents' basement. She parlayed her talents into a successful career, and I parlayed mine into a side hustle. The love of food and travel came later. So our first shared hobby puts art museums at the top of the list in every city we visit. Especially considering Europe has so much great art. 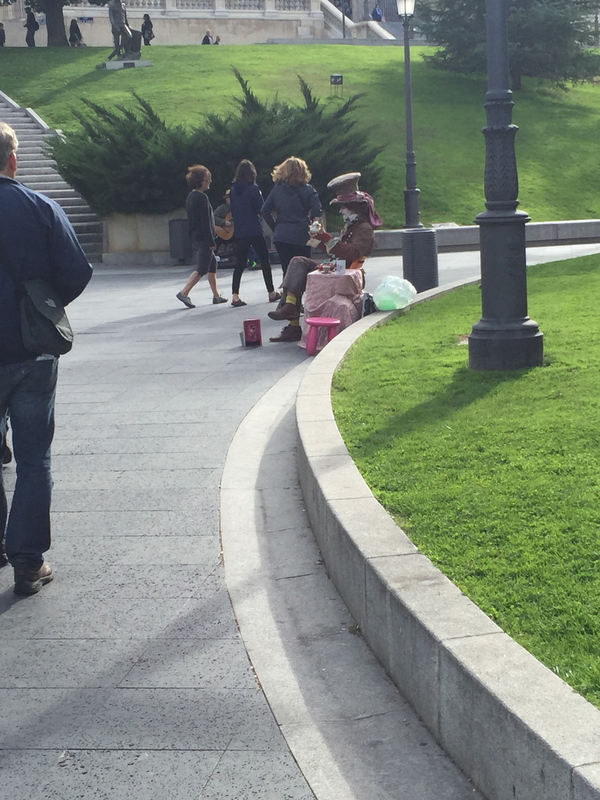 We knew Madrid was going to be packed with sights and museums, not unlike Paris. And since Paris's museums nearly crippled us, we planned accordingly for Madrid. We got our city pass ahead of time to save money and time, and roughly penciled in our museum visits for those rare moments when we weren't eating. As it happens, we ordered the two-day Madrid pass, and our first full day was actually spent in Toledo, so we either had to resign ourselves to not going to a museum on the day we traveled from Lisbon to Madrid, paying to go to a museum when we had already paid for a museum pass, or be clever. Surprise! We managed to pull off Option 3! 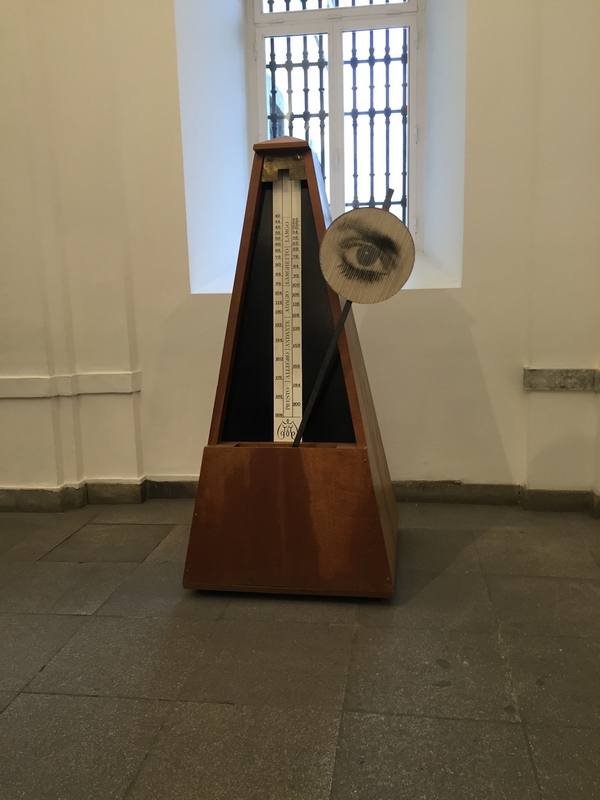 We arrived on a Sunday, when entrance to the Museo de Nacional Centro de Arte Reina Sofia is free from 1:30 to 7, so we decided to hit it up, see what we could see, and head back another day if we felt like we missed anything. 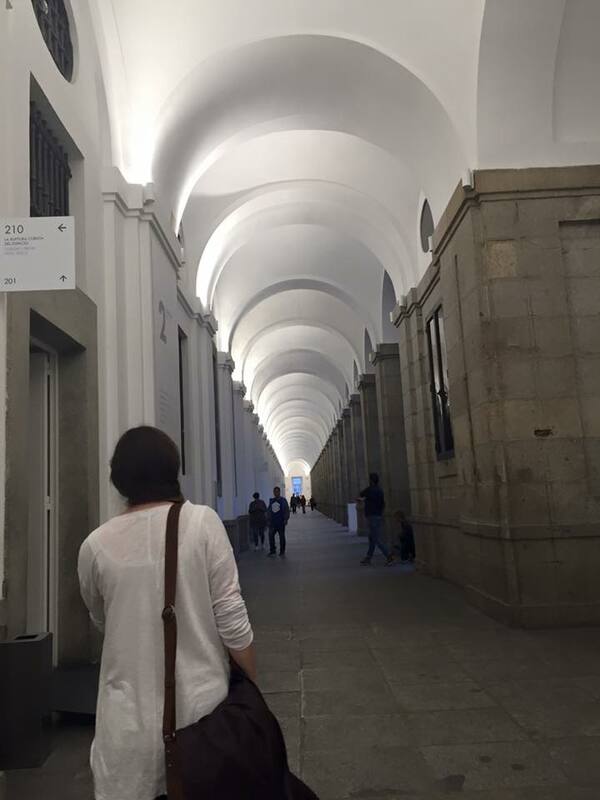 Reina Sofia is the smallest of the three museums we visited. It's ugly and industrial-looking on the outside, and similar to Antiga Confeitaria de Belem, it smelled like poop at every corner. Aside from that though, it features some great 20th century art, mostly of the Spanish persuasian, though there are a few international artists present as well. Tons of Dali and Picasso, especially Guernica, which is a massive black and white anti-war mural. It's over 11 feet tall and over 25 feet wide. 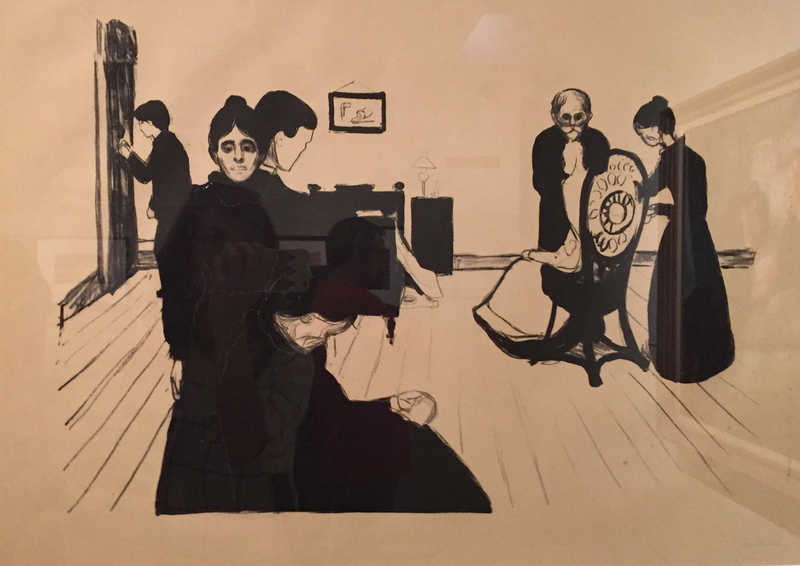 One thing that makes Jen and I compatible travelers/museum-goers is that we take about the same amount of time to look at art -- which is to say, not a ton per piece unless it's something special to one of us or particularly interesting. As you can imagine, a piece like Guernica, over 25 ft long, cubist AF, and filled with death is one of those pieces that takes some time to look at. Unfortunately, no photos allowed, whomp whomp. We visited the Thyssen on our first full day in Madrid after fueling up on our delicious food tour. 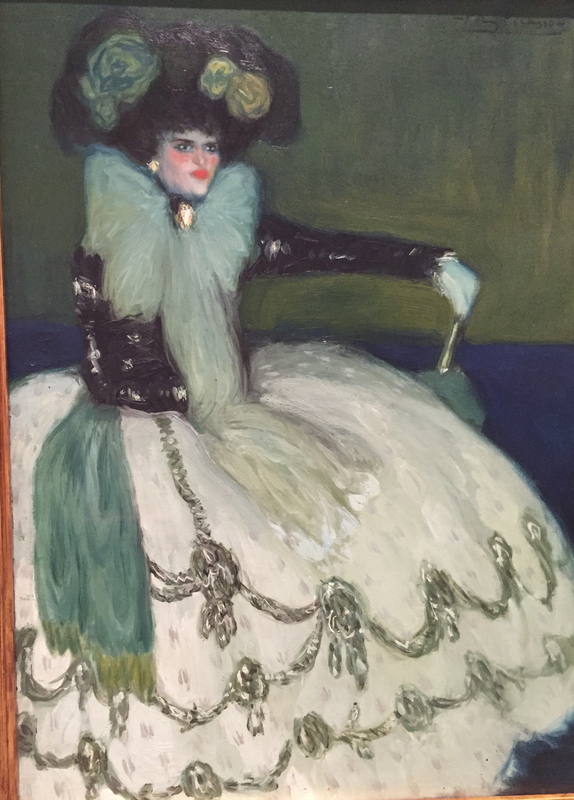 The Thyssen was easily my favorite of the three we visited. 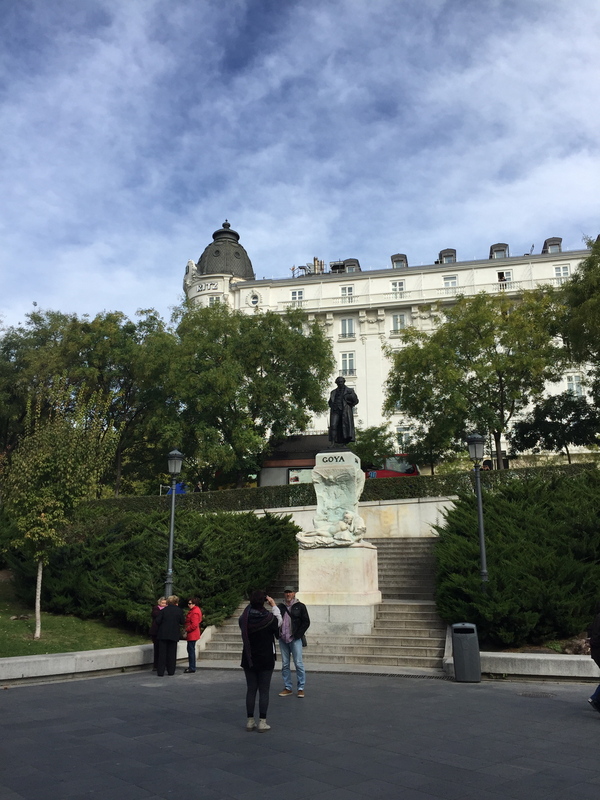 Wiki tells us that it fills in the historical gaps left by the Reina Sofia and the Prado, meaning there's an eff ton of international art, repping Impressionism, Expressionism, and lots from the late 20th century. Some of my favorite guys were there -- Hopper, Degas -- and while we were there, the Thyssen's special exhibit was on Edvard Munch, and they were selling hilarious merchandise that said "Too Munch," which kind of makes no sense since "Munch" is pronounced like "monk," not "munch," but it made me laugh every time, and Jen bought a "Too Munch" tote bag because she is just too munch for you. Right, so basically with the Prado, we were expecting the Louvre Part II, which is to say that we knew we wouldn't be able to manage to see the whole thing in one visit, so we had to pick and choose the famous pieces to see. In my head, for some reason, I thought it was as big as the Louvre or the Met, but obviously I was missing something, both literally and conceptually. It didn't take us that long to go through because, well, the highlights were not particularly exciting. Maybe it's the fault of my wretched, wretched freshman year art history teacher, but I have no real special attachment to Goya, Velazquez, or El Greco, and I mean, let's be real. It's not like the Prado has a counterpart to the Mona Lisa or even like, freaking Guernica. I just wasn't feeling it, which is why I say I missed something conceptually. Admittedly, I might be slightly cranky about the Prado because 1) no photos, although I snuck a few, but that's why the above collection is meh (although they will let you set up shop and start painting copies like the guy I secretly snapped. It's kind of cool but it's also like...really? I can come into the museum with my own oil paints, which tend to get all over EVERYTHING, but I'm not allowed to snap a couple quick pics with my iPhone? Even without the flash?). And 2) it was IMPOSSIBLE TO NAVIGATE, which is why I say I am pretty sure I missed something literally. See that photo with the arrows pointing to each other? What are you supposed to do? If you get in the middle and jump up in the air, will magic take you to the cafe you're desperately searching for? If that's the case, can I draw two arrows in my own doorway and beam myself back to Spain? Please?